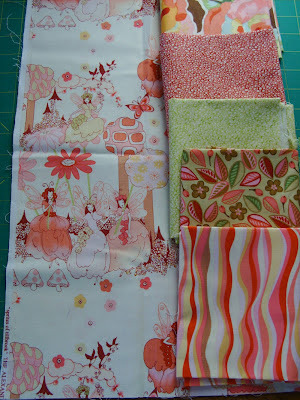 This is the beginning in a series of post as I start working on a quilt for my daughter. The fairy sprite fabric above, a mere fat quarter, is our inspiration piece. Sprites of Tillbrook from Alexander Henry 2008. Pretty much gone from the quilt shops. 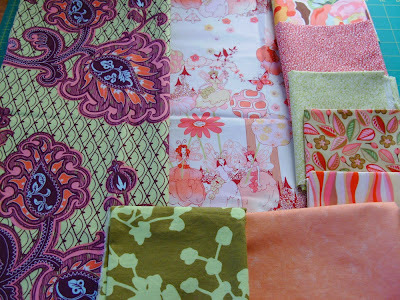 Behind it in this photo is some Denyse Schmidt dots which play rather nicely with the fabric. These are the fabrics from my daughter's stash that go with the sprites. Some are from the same line. All are fat quarters. Here's a few additions from my stash added in. I have about a yard of the large Amy Butler print on the left. See how nice those corals play together?! As seems to happen around here, my daughter requested I use one of my block designs. 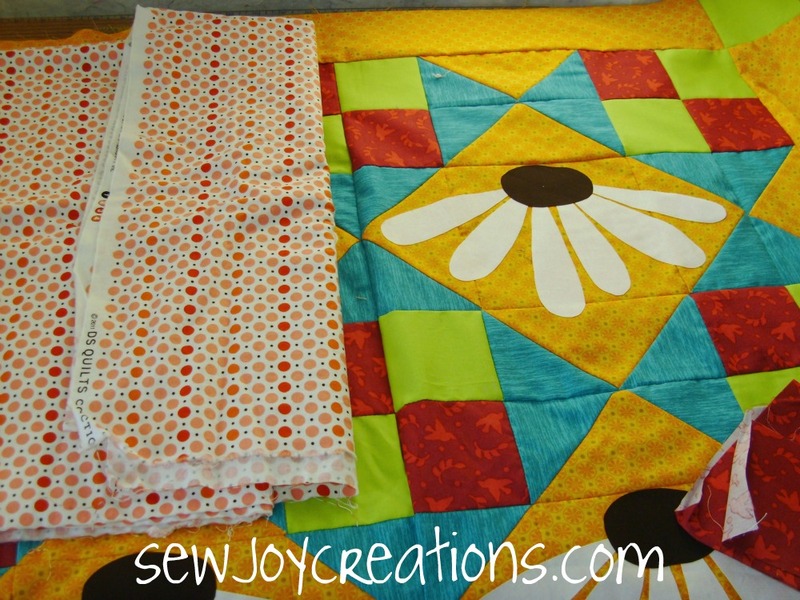 Joy Framed which was in Quiltmaker's 100 Blocks, volume 3. 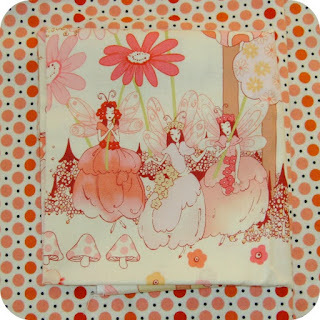 In the next process post I'll show what the design is for the quilt right now. My daughter knows as well as I do that plans change! Already she has surprised me with how she wants the quilt to look. 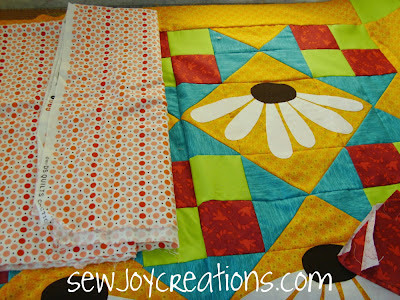 Since the quilt is a request for Christmas, I plan to do an update monthly on the 25th. At the beginning you might see a few more as plans have changed a few times since we started looking at these fabrics last week!